Our goal is to connect people with the best local experts. We scored roofers on more than 25 variables across five categories, and analysed the results to give you a hand-picked list of the best roofers in Pittsburgh, PA. Founded in 1977, Allegheny Metal Roofing is a fully bonded and insured roofing contractor in West Mifflin, serving Pittsburgh and surrounding areas. The company aims to provide a work environment that meets manufacturer specifications and OSHA regulations. They specialize in new roof installation and repair and offer complete maintenance programs. Founded in 1991, Craig Gouker Roofing specializes in roofing repair, installation, and maintenance for residential and commercial properties in Allegheny and Westmoreland Counties. They are an Angie's List "Super Service Award" winner. The company is licensed, a Mastic Ply Gem Preferred contractor, and has an A+ Better Business Bureau rating. Pittsburgh roofing company Deluca Roofing has been serving East Pittsburgh and surrounding areas for more than 17 years. They are licensed, insured, and an Owens Corning Preferred Contractor. They specialize in residential and commercial roofing needs. Common projects include shingle repair, roof replacements, skylight installations. EAS Roofing is a 2012, 2013, and 2014 Angie's List "Super Service Award" winner. They are a fully insured and EPA Certified roofing contractor in Allison Park, serving Pittsburgh and surrounding areas. Services include roof installation and repair, gutters, and soffit and fascia repair. They have an A+ rating with the Better Business Bureau. 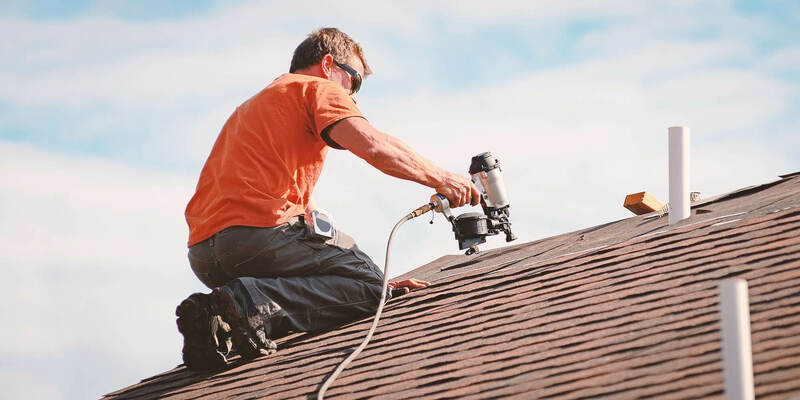 Pittsburgh roofing contractor, Empire Roofing and More, is fully insured with a combined 50 years experience, serving Allison Park and the North Hills of Pittsburgh. The company specializes in roofing repair, installation, and maintenance. Customers praise the company for their professionalism and informative nature. Empire Roofing and More provides a ten-year workmanship warranty and a lifetime warranty on any GAF Lifetime Roofing System. Gregor Roofing Company is a GAF Certified Master contractor serving Bethel Park, Peters Township, Scott Township, Pittsburgh, and surrounding areas since 1998. They provide roofing repair and replacement services for residential and commercial properties. Typical projects include roofing repair, siding installation, window and skylight installation, and more. With over 60 years' experience, Hausler Roofing is a family-owned and operated roofing contractor, serving commercial and residential customers in Allegheny County and surrounding areas. They provide energy efficient roofing installation and repair, and offer 24-7 emergency roofing services. The company is insured, licensed, and bonded. Hickey Contracting is a home improvement contractor serving customers in Pittsburgh, Pennsylvania, and surrounding areas. Common work includes workmanship for windows, roofing, siding, gutters, kitchen and bath remodeling, and exterior home improvements. Hickey Contracting is state licensed, bonded, and fully insured. Holland Roofing is a roofing contractor in Pittsburgh. They provide roofing repair and replacement services for residential and commercial properties. The company is a member of the National Roofing Contractors Association and the Midwest Roofing Contractors Association. Holland is able to meet needs for new construction, repairs, green roofing, and roof design software. Holzer Jesko Quality Exteriors is a Pittsburgh roofing company, with over 50 years of combined experience in providing roofing installation and service. Common projects include replacing metal flashings, replacing damaged slates and tiles, residential sheet metal work, metal bay roofs, standing seam installations, and more. They are fully insured and GAF Master Elite Contractors. Knox's Construction is family owned and operated and serving customers in Allegheny and Washington Counties for more than ten years. Typical projects include roofing, seamless gutters, downspout, siding, and soffit and fascia work. Customers commend the company for their professional and polite service. They are a leader in GAF Installation Excellence and GAF Consumer Protection Excellence. Kramer Construction is a full-service Pittsburgh roofing contractor providing roofing repair and replacement services for residential and commercial properties since 1995. They are fully licensed, insured, and provide free estimates. Common work includes roof repairs, new roof installations, gutters and downspouts repair, vinyl siding, roof maintenance, and kitchen, bath, and basement remodels. For more than 40 years, Mark D. Emanuele Roofing and Siding has been serving Oakmont, Pittsburgh, and surrounding areas. They offer quality roofing service and repairs, chimney repairs and rebuilds, and gutter and downspout installations. The Veteran-owned company is licensed and a preferred contractor with Firestone and Owens Corning. Newhouse Contracting is a family-owned and operated Pittsburgh roofing company with over 20 years' experience. They are licensed, insured, and serve Aliquippa, Hopewell Township, Sewickly, Moon Township, and Beaver and Allegheny Counties. Newhouse Contracting provides a workmanship guarantee for any roof work, siding, slate, tile, shingles, gutters, downspout, or soffit and fascia job completed. Pro Home Services is a fully licensed and insured Pittsburgh roofing contractor. They have operated in Allegheny County and surrounding areas since 2008. Common work includes providing slate, tile, and flat roof installation or repair, and kitchen, bathroom, and basement remodeling services. Established in 1984, Pittsburgh roofing company, Skyhook Roofing, is a family-owned and operated business. They are fully insured and an Owens Corning Preferred Contractor, serving Jeanette, Pittsburgh, Greensburg, Murrysville, Westmoreland County, and surrounding areas. Common projects include roofing, siding, window, and skylight installation and repair. Slagle Roofing & Construction is a GAF Certified Roofing Contractor, serving Allegheny, Washington, Westmoreland, Fayette, and Green Counties for 28 years. They offer competitive pricing for residential and commercial roof installation and repair. Technicians are full-service certified and guarantee a "super clean yard" with all projects. They offer 24/7 emergency service. South Hills Roofing is a Pittsburgh general contracting company that has been serving the South Hills since 1992. They specialize in roof installation or repair, window installation, siding, gutters, downspouts, and general home improvement services. They offer competitive pricing and senior citizen discounts. Three Rivers Roofing is a fully licensed and insured contractor with 30 years of experience, serving Mt. Lebanon, Squirrel Hill, Upper St. Clair, Shadyside, Whitehall, and Brentwood. They provide roof installation and repair, copper flashings, seamless gutters, chimney repairs, and skylight installations. The company has an A+ rating from the Better Business Bureau. Top Job Roofing is locally owned and operated and serves customers within 100 miles of Pittsburgh, Pennsylvania. They are members of the National Roofing Contractors Association and recognized for GAF Consumer Protection Excellence. Common projects include repair and installation of gutters, tiles, shingles, wood shingles, steep slope, and composition shingles.